I am thrilled to be linking up with Sarah over at More than a Worksheet! She set up a monthly linky party with easy (and slightly bridal! 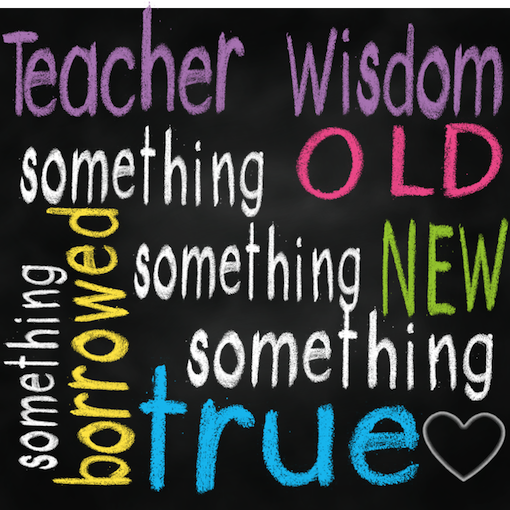 LOL) guidelines : something old, something new, something borrowed, and something true! Cute, right? 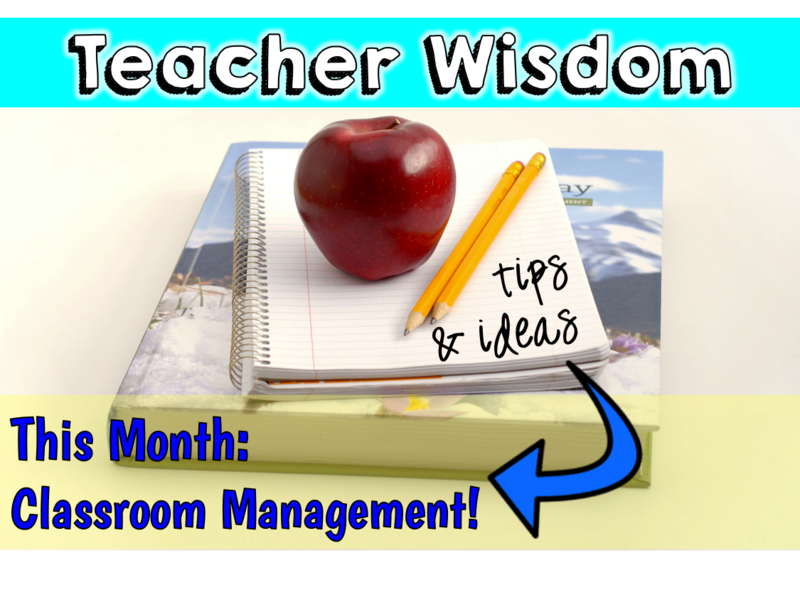 The theme of this month’s link is CLASSROOM MANAGEMENT. Somehow I always felt my classroom management was always evolving and changed with each class. Some elements might have remained the same, but every year I had to “tweak” my systems. Every year, before school started I sat down and figured out my basic “plan” for my classroom. This included schedules, ideas for behavior and homework, as well as procedures for snacks and birthday and those details that can sneak up on you. Then, I typed in all up and sent it home to parents as a Parent Handbook. 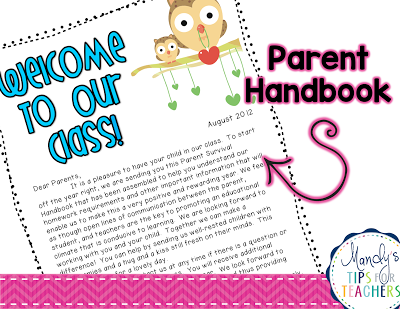 At the very end was a page for parents to sign and return stating they had read the handbook. I send this home the first day of school for “homework.” Kids were always thrilled that their first bit of homework…was actually homework for mom and dad! LOL! You can check out my version from 2012 for free, here! It is completely editable, so feel free to make it fit your classroom needs! I am going to share one more little, old trick. Book bags were just a hot mess in my room. We tried to keep them organized, but they fell down every.dang.time. Since we lined up where the coat hooks were AND we had to store book bags, lunches, and jackets in the same place, we were always tripping. My ingenious co-teacher came up with this plan. She went to WalMart, bought these large tubs and we labeled them. Each table group (our students sat at tables) had a bucket. 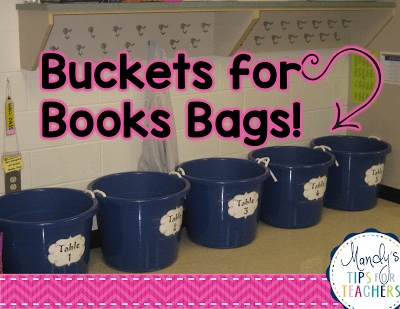 All book bags and lunch boxes went in the buckets. Coats hung on the hooks. It was glorious! 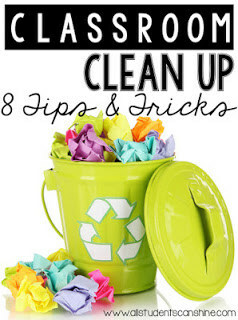 I love these clean up tips from All Students Can Shine. My room may have been wrecked during the day, but USUALLY it was clean by the time we packed up and went home. I used these tricks from Valerie and they helped me keep my sanity. They also helped students become invested in the classroom, since they helped care for it! My something new is a little trick to piggyback on the tips above! I also used the “Magic Trash” trick. Do you guys know that one? I learned it from the art teacher at the first school I taught at. IT.IS.BRILLIANT. I tell the kids I spot ONE piece of magic trash. Whichever student picks up the magic trash (OR I added this one in a spur of the moment sort of genius- something out of place, like library books or pillows), gets a piece of candy. The kids love it and my room is clean. I tell them I can’t announce the winner until the room is clean and I never reveal WHAT the magic trash. Truthfully, this is usually because I am not paying attention to what the kids are picking up, I just want a clean room! LOL! I try to randomly rotate through the winner so the same kids don’t always win! We did it daily so I was happy because my room was clean and my kids were happy because they had a chance to get a treat each day! LOL! 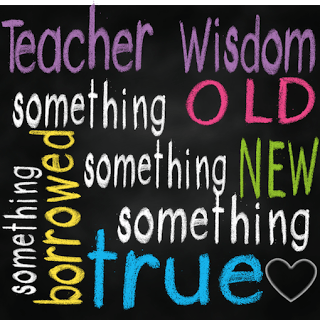 When I was student teaching, my mentor shared a similar quote. It is so powerful, too. 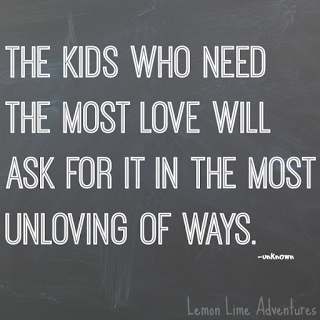 It is so easy to get frustrated and wrapped up in the little things “THAT” kid does during the day. You know what I am talking about. THAT kid that frustrates you and makes teaching so much more difficult. It is easy to miss what some of those tantrums and moments of defiance are – a cry for a hug, a safety net, and an act compassion. 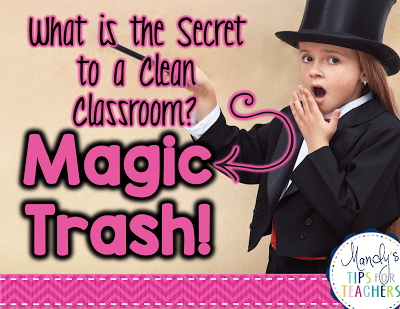 Love your magic trash idea- it's so funny! Lots of great tips! I never had hooks in my classroom, so we were always tripping all over backpacks. Buckets would totally solve that! Genius!